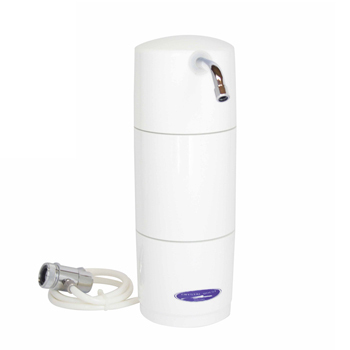 Fluoride Multi PLUS Water Filter, No Cartridge by Crystal Quest is a disposable countertop filter system with 7 stages of filtration. Its primary media is a layer of fluoride removal resin containing synthetic Aluminum Oxide adsorbant media specifically designed to have a high affinity for Fluoride, Lead and Arsenic. Fluoride may cause health problems if present in public or private water supplies in amounts greater than the drinking water standard set by EPA. According to the EPA, exposure to excessive consumption of fluoride over a lifetime may lead to increased likelihood of bone fractures in adults, and may result in effects on bone - leading to pain and tenderness. 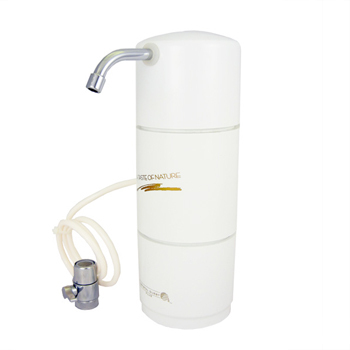 The added combination of Coconut Shell Carbon(GAC) and Eagle Redox Alloy media increases the systems' efficiency in removing hundreds of other contaminants from your tap water. 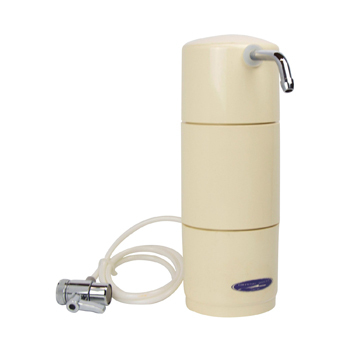 Protect your family with this easy, maintenance-free filter unit. Its classic and unique design will give your kitchen counter an elegant and stylish look. 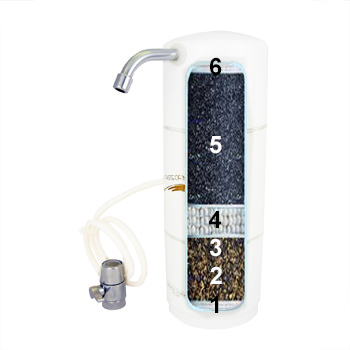 The filter media's housing allows for substantial amount of filtration, enabling more contact time with water for better filtration. 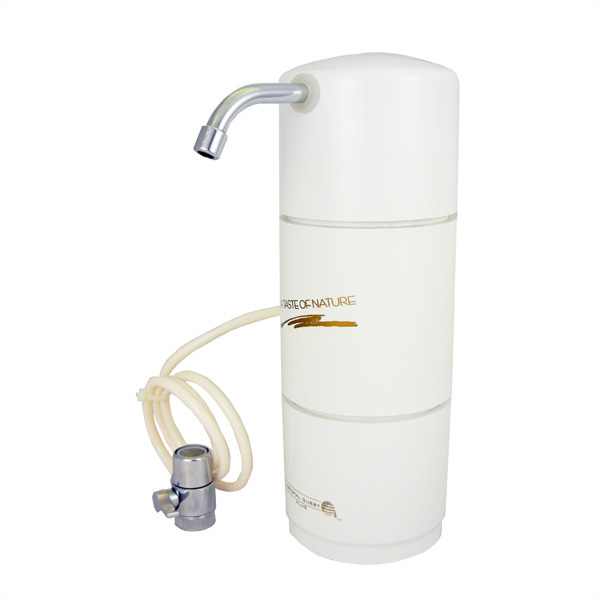 This water filter is convenient, quick and easy to use... and most importantly the filter system effectively removes FLUORIDE, lead, arsenic and many other contaminants from water. Great for homes, apartments or office use. Fluoride removal resin also removes lead and arsenic. Coconut Shell Carbon or Granulated Activated Carbon(GAC) and Eagle Redox Alloy media fights hundreds of other contaminants. * As high as 6600 ppm F+ with effluent levels below 0.2 ppm from 10 ppm F+ feed. - Installs without tools on any standard faucet. - Note: high pH and high bicarbonate levels reduce capacity - above 100 ppm bicarbonate, reduction by 50%; above 200 ppm, reduction by 75%.